What kind of ambitions do you think a fashion graduate could have? What kind of dream would a student of Leeds College of Art and Design cherish? Yes, to make it big in the world of fashion. And that was exactly what Ria Sharma had in mind until she took a strikingly different turn. It all started as another university project. Sharma had to complete a project about acid attacks that were happening at an alarming rate in India for which the Oscar-winning documentary film Saving Face proved to a good catalyst. She says, “I knew I would forget about it the next day, but I didn’t want to forget about it.” Unlike her counterparts she chose to do something about it. With the consent of her college, Sharma returned to India and decided to complete the final semester through Skype tutorials. She set herself out on a journey across the length and breadth of the country only to connect with victims of such brutality and extend her hand of compassion and support. But what took her aback was the impeccable fighting spirit and courage that each victim summoned within them amidst the prolonged suffering. 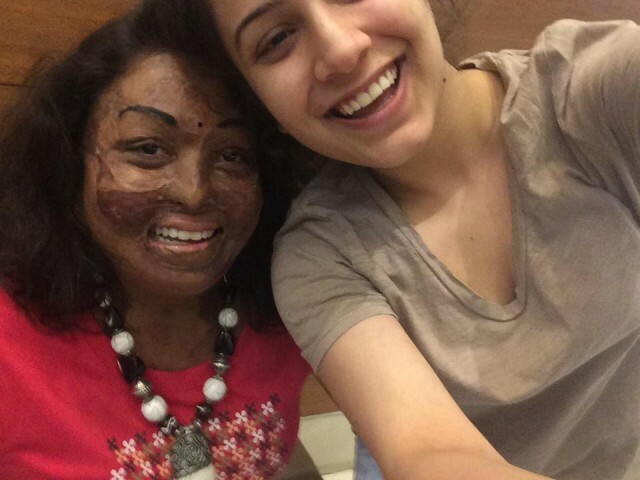 The effects of an acid attack last an entire lifetime. Nevertheless most of these women of grit always sport a positive outlook in life. That’s when Sharma realised that they are not victims but survivors in their own right. 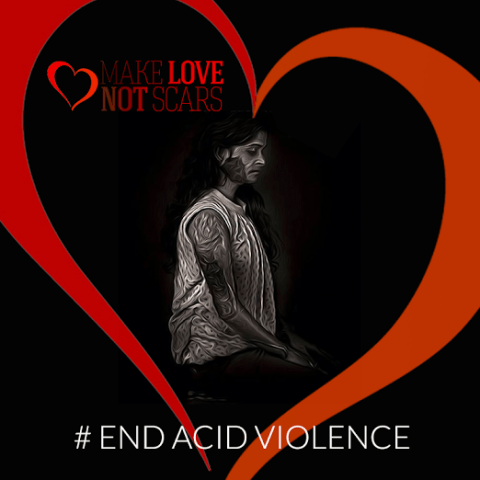 In no time Sharma founded her baby, Make Love Not Scars, an NGO that supports not just acid attack survivors but victims of gender-based violence. The NGO has an army of volunteers who contribute their time and skills in different ways. People with a creative background, especially photography and video, or those who are good writers are invited to help. “We are always looking for people to come and spend time with the survivors,” Sharma adds. “They love spending time with new people.” More importantly Sharma tries to connect them with each other. She believes that the survivors understand each other the best. Make Love Not Scars has turned a year old and has come a long way. Under Sharma’s leadership, the organisation has conducted many successful campaigns to raise funds for medical care and rehabilitation of the survivors beneath its wings. They have also filed numerous petitions to amend the existing laws under which the government provides rehabilitation and compensation to acid attacks survivors. Besides that the culprits of such horrendous crimes escape through the corrupted corridors of law and justice. There isn’t even a proper authority that possibly could govern the sale of acid (concentrated sulphuric acid) that not just leads to severe disfigurement of the face and body but also subjects the sufferer to multiple infections. Some even have lost their eyesight permanently and some others have undergone multiple surgeries. Based on the stories of survivors many short videos have been made and have been circulated in social media. These eventually helped many online crowd funding campaigns that were conducted for each of these survivors. Sharma was overwhelmed by the response of supporters across the globe, thus she started a US wing of Make love Not Scars in 2015. Charity dinners and social gatherings are occasionally conducted in US to raise funds to help the survivors back home. Another aspect that needs to change is the social stigma tagged onto every survivor after the attack. The Indian society either looks at them with an eye of sympathy or points fingers of blame towards them. Their lives are even deprived of basic education or a decent job. On the societal front though change is happening at a snail’s pace Sharma has complete faith in the efficient leaders of the present government and hopes to see a better tomorrow for the survivors. In the meantime, she continues to forge ahead her path of compassion and empowerment. Nimmy Kuttappan shoved her Bachelor’s degree in Engineering in her granny chest and commenced a journey of penmanship. For her there is no life without books, black tea, and her phone and of course red wine. Besides marvelling at the works of Tolstoy and Rumi or cuddling puppies, she fascinated with snow-capped mountains, landscaped meadows and serene oceans. With an intention to inspire others, Nimmy writes and blogs for social media platforms, websites and a few NGOs. Plus, she is addicted to love and happiness.